When we need to display the structure of a company in an organizational chart, there are a lot of challenges we face. Starting with gathering all the information about the people and their position in the firm, all the way to who reports to whom, there is quite some work to be done. This is why when it comes to finally displaying it all, the last thing we need is a software which takes forever to arrange the icons on the screen. To spare you this type of hustle, Nevron Draw has created a button called "Layout". 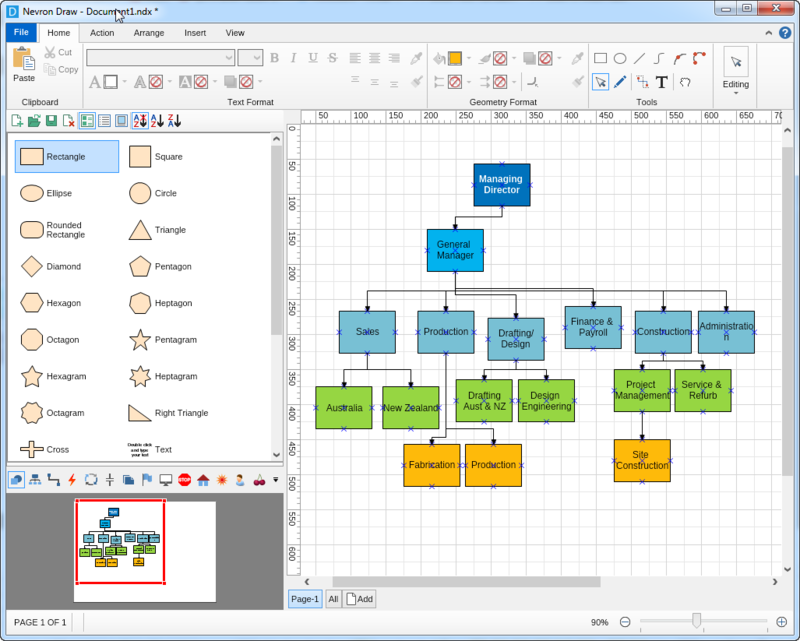 It will save you hours of hard work by automatically structuring your organizational chart for you with s single click. Moreover, it will do this so well, that even your colleagues with severe forms of OCD won't find anything to complain about. 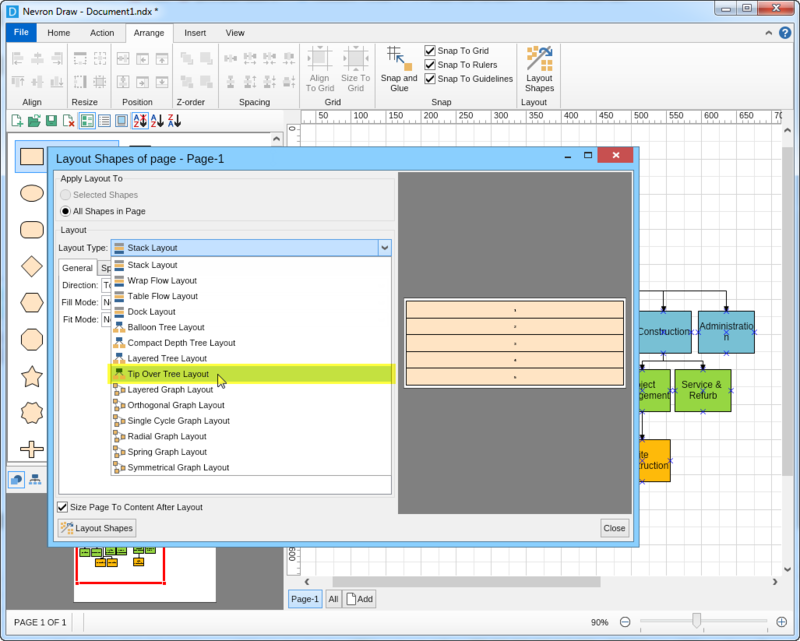 To begin, we will drag some rectangles in the drawing area of Nevron draw and type some sample names. Connect the rectangles according to the structure of the company, and color the boxes as per your preferences. Don't worry about arranging them nicely - this is what the "Layout" button is for. Once you have entered all the information you'd like to see in your organizational chart, go to "Arrange" tab of the menu, and click on "Layout Shapes". From the drop-down menu (where it says "Stack Layout") pick the "Tip over tree layout". You can either change the setting or leave the default ones. When done, simply click on the "Layout Shapes" button in the bottom left corner. This is it! 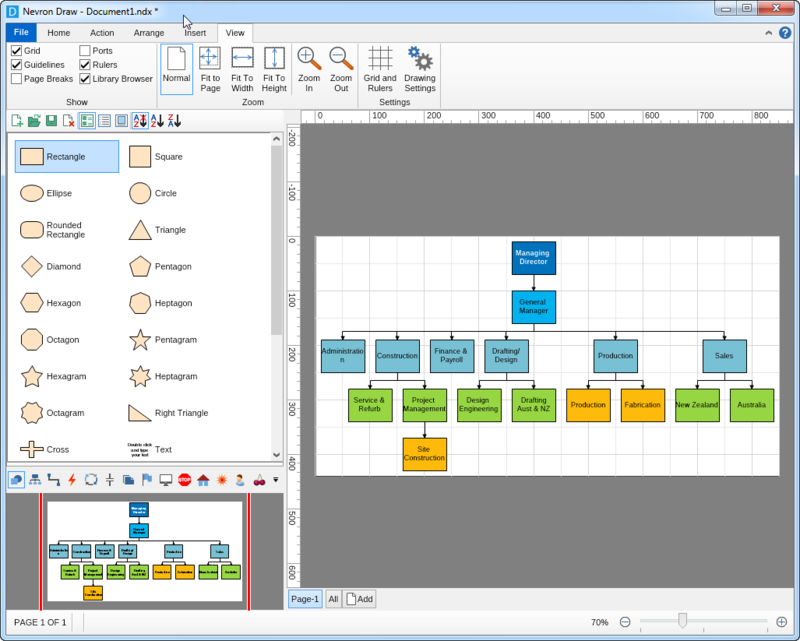 Whether your organizational chart is complex or simple, Nevron Draw's Layout function will automatically arrange everything and perfectly align it. And all of that with just one click!